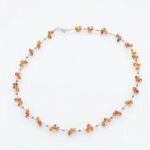 For a daintier look, consider these amber necklaces. 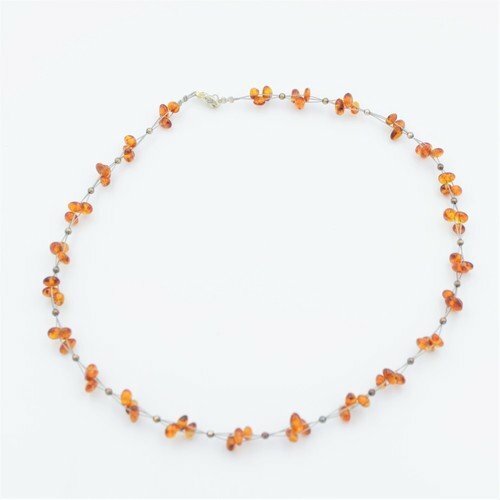 The separation of the amber beads allows the necklace to be lighter and give a simple but elegant look. They also have all of the benefits amber has to offer, just as their larger counterparts. This necklaces has beads of a rich, gorgeous cognac color. Feel the warmth!